Dagne Dover Co-Founders, Deepa Gandhi, Melissa Mash and Jessy Dover, right. 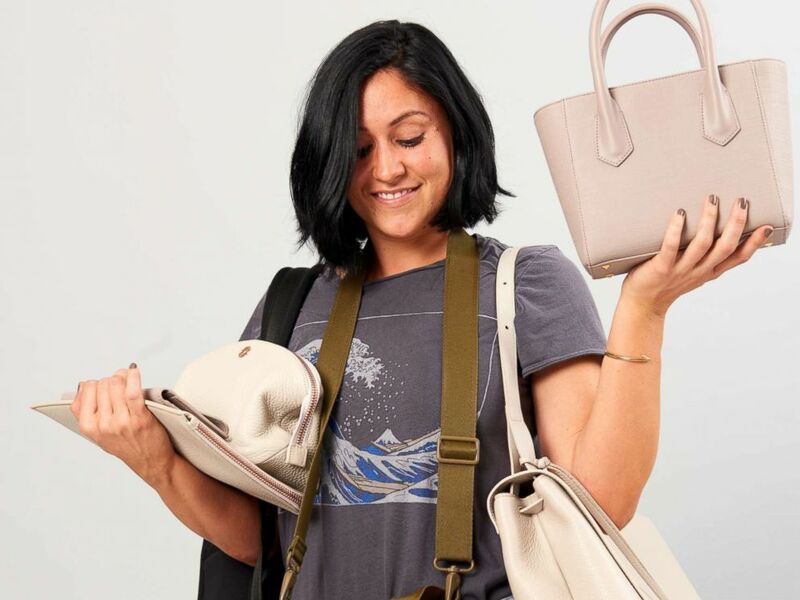 When Melissa Mash, Deepa Gandhi and Jessy Dover set out to create their handbag company, Dagne Dover, they had a decision to make. Like all entrepreneurs, they had to figure out how and where to get funding. The founders, who launched their company in 2013 to create a stylish and functional handbag, opted against the venture capital funding route. “We're building a brand that has a really strong, creative, artistic force behind it. ... And when you do that, and you want to build a product-first, customer-first brand, you need to be able to make the right decisions for the product, or for the customer, versus just hitting growth numbers,” Deepa Gandhi, co-founder and COO of Dagne Dover, told ABC News’ Chief Business, Technology and Economics Correspondent Rebecca Jarvis on a recent episode of the “No Limits with Rebecca Jarvis” podcast. They instead decided to find patient, or long-term, capital, meaning investors who aren’t necessarily expecting to turn a profit right away. Rather, they are willing to make an investment in the long-term success of the business. "It really is people who have a certain mindset where this is not a three-year game. This could be a ten-year game. This is someone who is investing in us as entrepreneurs, that whatever happens we're going to figure it out and they know not to sweat the small stuff,” Melissa Mash, CEO and co-founder of Dagne Dover, told Jarvis. Gandhi said their choice has allowed them to protect a balance between the creative and the business sides of the company, adding, "By finding more patient capital that has a longer term horizon and perspective ... [we] don't have set metrics that they need to hit every quarter, every year." Gandhi, who was once a trader for Lehman Brothers, had a passion for the retail industry but didn’t know how to make the transition from Wall Street. So she spoke to one of her friends, Melissa Mash, whom she met in 2007 after moving to New York, and who would become one of her Dagne Dover co-founders. “Melissa was one of the people I was talking to about working in retail," she said. "I was like, 'I love the industry. This is something I'm really passionate about, but what does a finance girl do in fashion?'" Mash introduced Gandhi to a friend from Club Monaco, which led to her first job in the fashion industry as an Associate Merchandise Planner. "Three weeks later," she said, "I had a job, my entire career path changed, and since then we've always been close." While Gandhi was working for Club Monaco, Mash, who had been working for Coach at the time, started to come up with the idea for Dagne Dover. Mash says customers would constantly complain about their handbag organizational problems and she saw an opportunity. "I saw that there was a huge opportunity for a new brand that was digitally native, that was well-priced, performance-oriented in terms of being an awesome aesthetic but also a ton of really organized thoughtful pockets," Mash said. Both Mash and Gandhi each eventually found their way to The Wharton School, and it was there that they started to bring the idea of their handbag company to life. Mash searched the Parsons School of Design website to find a creative person to design the product. She sent a cold email to Jessy Dover, who was designing footwear at the time but was most interested in designing handbags and accessories. In her senior year at Parsons, Dover had won the Coach Accessories Design Competition. “It catapulted me into handbags and accessories, and I was like, ‘Wow, this is something I'm good at, I'm really passionate about it,’” Dover says. Jessy Dover, Co-Founder and Creative Director, Dagne Dover. The two planned to meet. Dover, who would become the creative director, said that she and Mash “just hit it off,” and shortly after their meeting she quit her job to work on Dagne Dover full time. The company launched in 2013 and has been thriving ever since, something that Gandhi, in part, credits to their choice of funding. Hear more from the founders of Dagne Dover on ABC Radio’s “No Limits with Rebecca Jarvis” podcast.